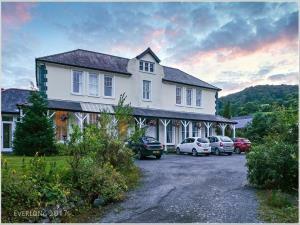 Business Events at Elan Valley Hotel01597 810448work Conference residential venue3* country hotel specialising in conference provision. Elan Valley Hotel conference rooms have been refurbished to a higher level, with blackout blinds and new equipment, including built in projector screen/whiteboard/flipchart OR motorised projector screens. 3* country hotel specialising in conference provision. Elan Valley Hotel conference rooms have been refurbished to a higher level, with blackout blinds and new equipment, including built in projector screen/whiteboard/flipchart OR motorised projector screens. Residential conferences lasting 3 or more consecutive days may be given a discount. Take Elan Valley Lakes road out of Rhayader (B4518). Hotel is on the right after approximately 2.5 miles.